Police in Limpopo are cautioning communities to be careful around rivers and dams in which crocodiles and hippopotamus’ dwell. 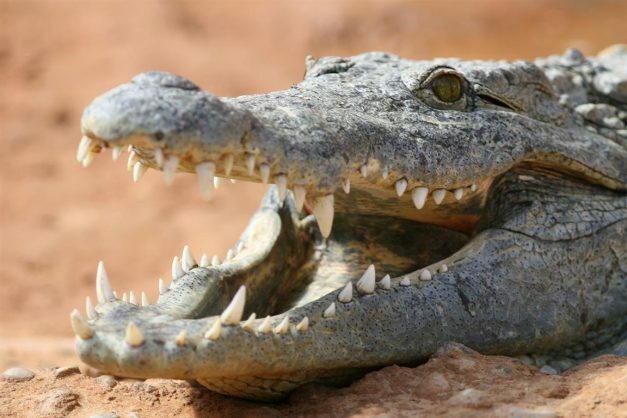 An elderly woman and a 9-year-old boy were killed by crocodiles in separate incidents in the Thohoyandou Cluster this past weekend, Bosveld Review reports. “This brings the recent tally of crocodile attacks to three, following the one in Lephalale where a man drowned in the Mogol River, outside Lephalale, which is populated with crocodiles and hippopotamus,” Lt Col Moatshe Ngoepe said. According to police spokesperson, Lt Col Moatshe Ngoepe, a 76-year-old woman’s body was found floating in the Nandoni dam on Friday. Her body was surrounded by crocodiles. Ngoepe says police had to throw stones to scare the reptiles away and her body was then retrieved. Preliminary investigations revealed that flesh from both hands, legs as well as stomach were eaten by the crocodiles. Meanwhile, a nine-year-old boy was caught and killed by a crocodile in the Mutale River Tswera on Sunday. A group of boys were swimming in the river when a crocodile caught him. The other boys rushed to the village to inform the elders who responded immediately. Upon their arrival they found the boy’s lifeless body floating in the water and informed the police. Ngoepe concluded by saying that investigations into both matters continue.